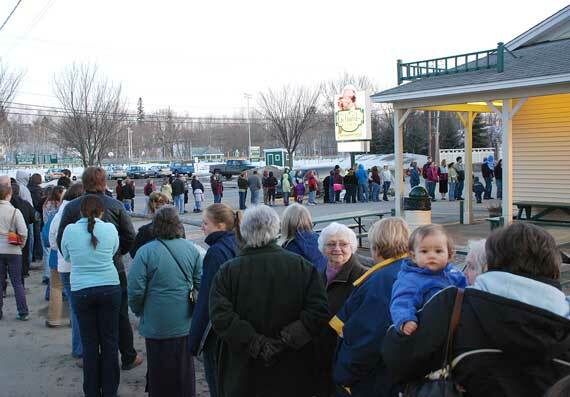 Opening day at the Farmington Gifford's back in 2009. FARMINGTON — Gifford’s Famous Ice Cream will host a community celebration to commemorate the 35th anniversary of its ice cream stand on Friday, Aug. 25. The event, featuring live entertainment, raffles and, of course, ice cream, will also raise money to help injured veterans and their families. The Farmington stand opened in 1982 and was the second ice cream stand the Gifford family opened in Maine. The event is free and open to the public and will take place on Aug. 25 from 5 to 7 p.m. at Gifford’s Famous Ice Cream Stand, located at 293 Main Street. The celebration is also a fundraiser for the Travis Mills Foundation, a Maine-based veterans organization committed to helping combat injured veterans and their families revitalize themselves while connecting with nature. “The last 35 years have been a thrilling journey for my family, and we look forward to serving ice cream in Farmington for many more years to come,” said Lindsay Skilling, a fifth-generation ice cream maker and CEO at Gifford’s Famous Ice Cream. “Farmington is a special place for us because it’s truly where Gifford’s got its start when my grandparents purchased a dairy here." The event is a way to show the community how much it had meant to Gifford's, Skilling added. "We invite everyone to come out and celebrate with us," she said. Gifford’s plans to serve up ice cream, have Mark Gentle playing live country music and a balloon artist for the kids. Visitors will be able to enjoy 35 percent off Gifford’s delicious banana splits during the celebration and delight in a Flashback Kid’s treat called ‘The Quilby,’ which features one scoop of chocolate ice cream with a red M&M center, bursting with pretzel sticks, all balanced on a plain cone. 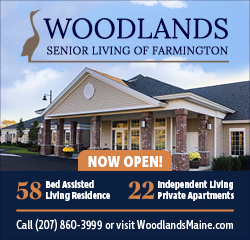 There will be three raffles including a $35 gift card to the Gifford’s Farmington stand, a $35 gift card to El Toro, the local Mexican themed food truck, and one adult season pass to Titcomb Mountain for the 2017-2018 ski season. Bangor's stand will also be celebrating its 30th anniversary this year. Congratulations on the 35th anniversary! Sounds like a wonderful event.